Barnacle Dissolver from PYI Inc. provides boaters with a DIY friendly solution for removing marine growth on their propellers and other running gear. Fouled running gear can negatively affect your boating experience through lower boat speeds as well as increased fuel consumption. In the past, methods for growth removal have included the use of power tools and acids. With power tools you can run the risk of damaging the propeller by removing too much material, which could result in added vibration from an out of balance propeller. Acids, although they work very well, are not known to be very user or environmentally friendly. With the introduction of Barnacle Dissolver, maintaining you running gear has never been easier. 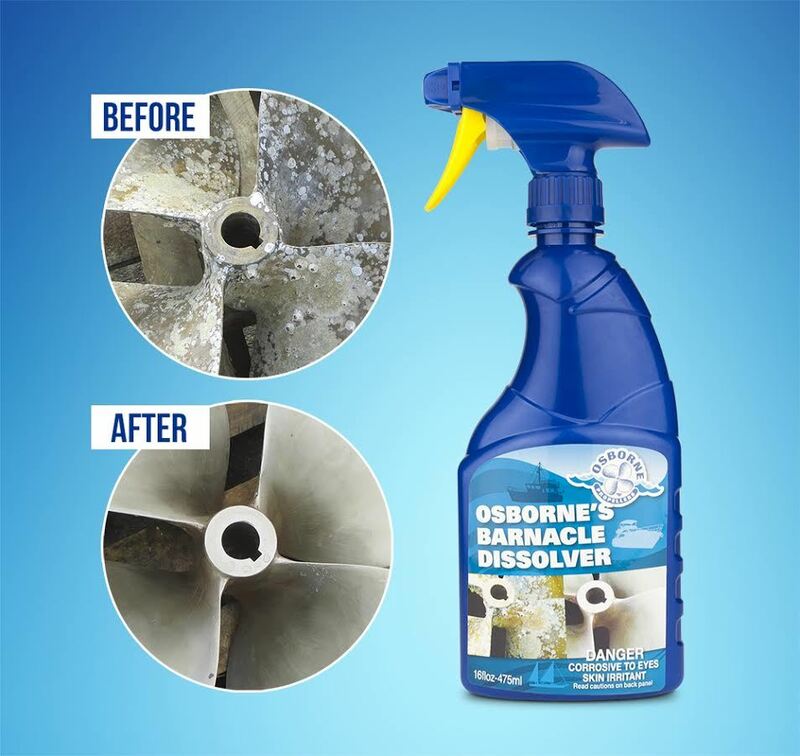 Barnacle Dissolver uses an organic salt compound to help release the grip of the barnacle or other growth making it easier to scrape and rinse away. After the growth has been removed, with an additional coat of Barnacle Dissolver along with the use of an abrasive cloth (such as Scotch Brite) you will be left with a clean polished surface and very little mess to clean up.